Gaza: How Do 1.5 Million People Live under Siege and Assault? 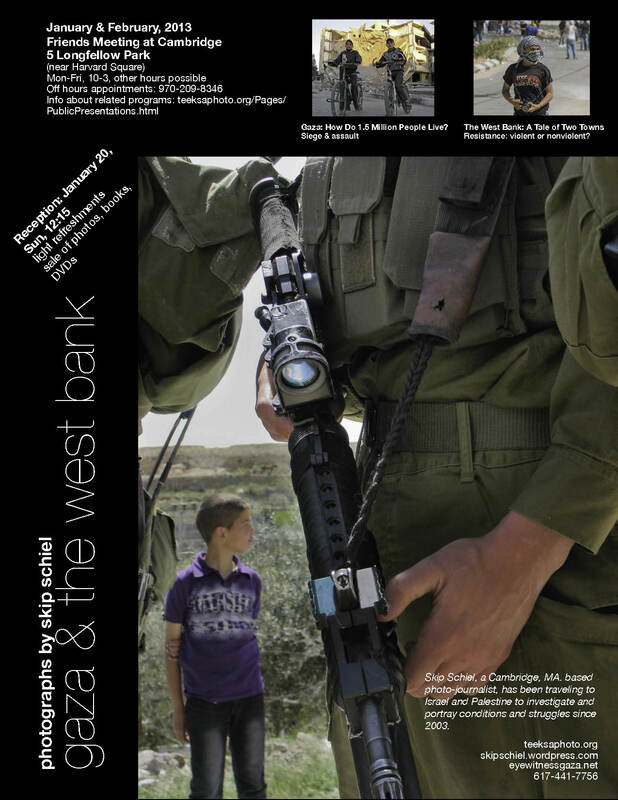 + The West Bank: A Tale of Two Towns and Their Resistance: Violent or Nonviolent? Is the exhibit open next weekend as well? the exhibit is open thru the end of february 2013, with hours indicated on the blog.